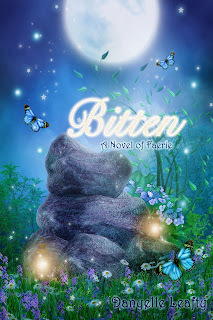 Book Adventures: A Bite of Magic Giveaway from Danyelle Leafty! A Bite of Magic Giveaway from Danyelle Leafty! Magic isn't a handful of sparkling dust, a star-topped wand, or a tame word captured on parchment. It's alive. It has a mind of its own. And it's hungry. 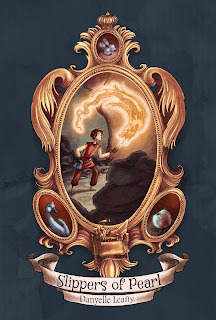 As his uncle’s heir, Faryn has to give up shoemaking in order to accept and refine his magic.Magic he never wanted.Unwilling to let go of his dream, but unable to escape his destiny, Faryn combines the two and discovers a knack for making magical shoes. He also learns that turning a person into a goose is a lot easier than turning her back, and that he severely underestimated how much trouble magic can be.The witch who killed his uncle is trying to control all the magic of the land, and it’s up to Faryn to stop her. If only he can get his magic to cooperate in time. It turns out that fairy venom has the power to turn mortals into small, winged versions of themselves. And it gets better. Grams's stroke was the result of her light—her fairy soul—being stolen. The fairy who bit Cherrie demands her to help steal Grams’s light back. To enter, please leave a comment & check that entry off in the Rafflecopter below. Extra entries are available through the Rafflecopter such as following this blog (down below), liking Book Adventures on Facebook, and following on Twitter. Totally liking these reads and this awesome contest! This sounds like a magical and fun read. They both look like cute books! These sound so cute! I would love a chance to read them~ thank you for the giveaway! Sounds like very interesting reads. Would love to win. Thanks for the chance.